this is the first time i did not enter a single post in a month. sounding like another excuse, mama was busy. everytime when it is near to month end, papa will lookout for an entry from me. but this month, he did not. papa is going through exams! home front it has been a lil...different and challenging. you are a lot chattier, full of ideas and energy!!! 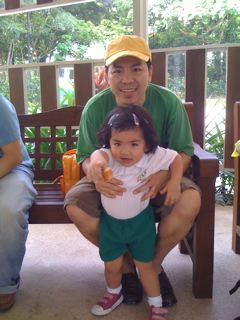 visit hortpark with papa,friends & teachers!